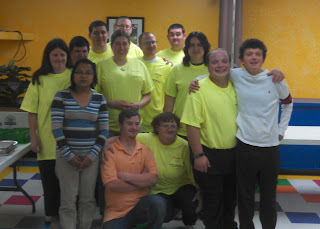 On Sunday, November 18, 2012, Lebanon County Special Olympics held their annual 10 Pin Challenge fundraiser at Palmyra Bowling Center. The event consisted of three hours of bowling, food, dancing, music, games, and door prizes. There were 20 teams of six bowlers that participated. Several friends, families, co-workers, and community school groups came together to bowl for Special Olympics. A representative for Member’s 1st Federal Credit Union was also on hand to present a check for $1,000 towards the event which netted over $3000 for Special Olympics. The fundraiser was another event in a busy November for the local Special Olympics program. Coming up Lebanon County Special Olympics will participate in the Myerstown Holiday Parade on November 24th, and hold a joint event at the end of the month with Lebanon Valley College at BounceU in Palmyra. 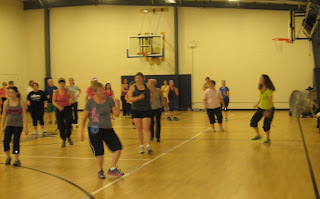 On Saturday, November 17, 2012, Paramount Sports Complex hosted a Zumba class to help raise funds for Lebanon County Special Olympics’ gymnastics team. 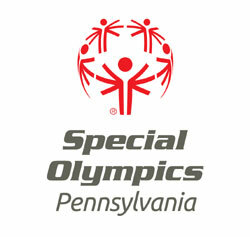 Lebanon County Special Olympics has been participating in the sport of gymnastics for four years. The gymnastics team, which consists of seven boys and seven girls, is currently training Thursday and Friday evenings at Paramount Sports Complex, crafting their skills in the sport and preparing for upcoming competitions. Individuals could participate in the extended Zumba class for a $5 donation to Special Olympics. Those who participated could also purchase raffle tickets for various items and a lucky few went home with door prizes as well. Organized by their coach Natalie Stramowski, the event raised $605 for new gymnastic uniforms. Lebanon County manager Joan Sechrist was on hand for the event. “These funds are crucial to help support the development of our athletes,” says Sechrist. “It was a great turnout, and we are so happy to have the support of Paramount Sports Complex.” Paramount Sports Complex is already a big supporter of Special Olympics, as they continue to donate facility space for training. The Zumba event further illustrated their commitment to Special Olympics and to the community.